On Tuesday 15th September there is a meeting 6pm to 7pm at Julian’s Primary School, 226 Leigham Court Road Sw16 2RB for families applying for a secondary school place in the 2015/16 school year and the chance to ask questions about the process. Applications must be made by Saturday 31st October at the latest. 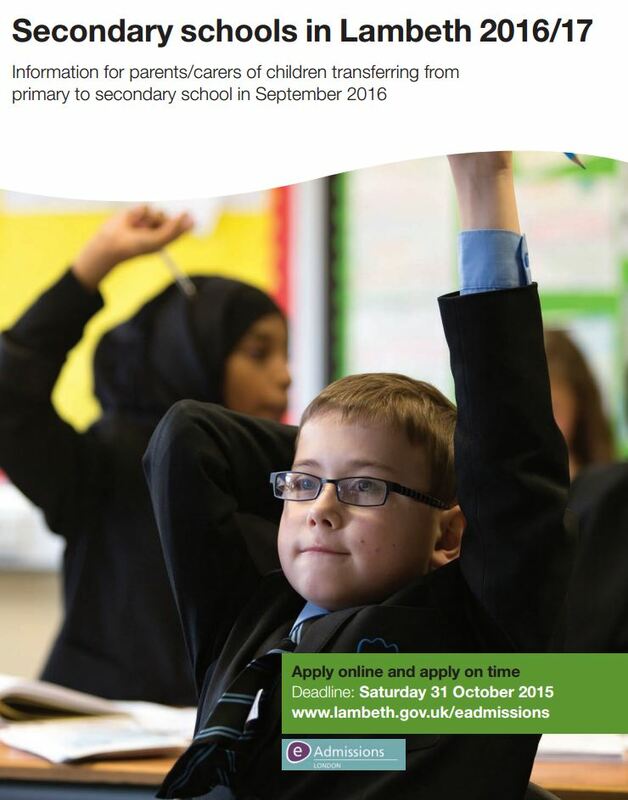 Apply on line at: https://www.eadmissions.org.uk/eAdmissions/app Many schools ask for a Supplementary Information Form that must get to the school by Friday 16th or Friday 23rd October – depending on the specific school . Some schools have their own admission test.